Will Ferrell reveals that the only original movie that he and Adam McKay created together, that he would think about doing a sequel for, is Step Brothers. Ferrell is out promoting his new comedy The House, which unfortunately took a pretty big hit during its debut weekend. Critics were pretty brutal on the movie, some claiming that, while the movie has two great comedic stars, it has zero laughs. It may very well go down as Will Ferrell's weakest at the box office since 1999's Superstar. A lot of Ferrell's movies are torn up by critics, but later go on to cult status, which could very well be the case with The House. Will Ferrell was recently on Watch What Happens with Andy Cohen to promote The House. 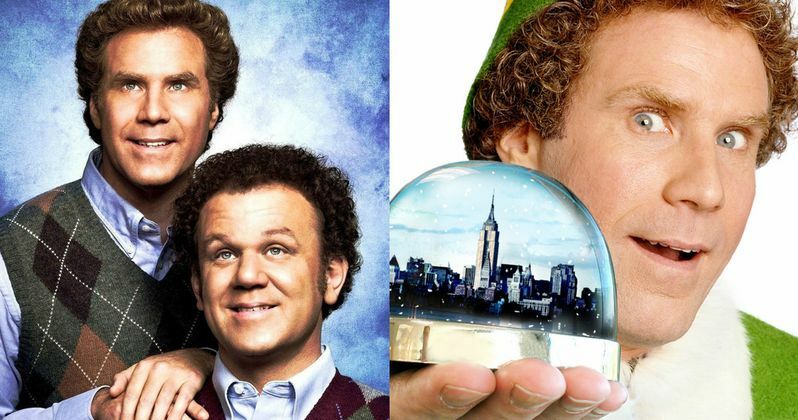 During the after show, Ferrell was asked by a fan about the possibility of a sequel for Elf and A Night at the Roxbury. Ferrell leaned into the camera and said "I've got great news for you... NO." Ferrell went on to say that it was best "to just let them stand on their own," which is true when it comes to certain sequels. Ferrell did do a sequel to Anchorman and while it's good, it can never be seen as an equal to the original. Ferrell was pressed further about a sequel of his that he would consider. Ferrell immediately said Step Brothers. Ferrell explains. "We talked a little bit about Step Brothers, so who knows. But at the same time, you like to create new things." While his answer is far from a confirmation that Step Brothers 2 will happen, it has been talked about quite a bit for the last few years. In 2011, Step Brothers director and Will Ferrell partner Adam McKay told Screen Junkies that there were already some loose ideas for a possible sequel. He had this to say. "One of them's married and has a kid. They're still goofballs, but they've taken three or four steps. Then we have an idea for something that knocks him back to square one, and of the brothers, John C. Reilly sort of instigates it, like "we can't take this anymore." And things go really bad, their lives kind of fall apart. They have to pull it back together is the basic structure." It has been rumored that when Anchorman 2 was announced that it was basically either going to be a sequel to Anchorman or Step Brothers and McKay and Ferrell chose Anchorman. It has also been falsely reported that the sequel was supposed to begin production a number of times since the original release date in 2008. Both Reilly and Ferrell have expressed interest in a sequel, but the pressure to live up to the comedy classic that is Step Brothers would be a monumental task. Who knows? Maybe after the recent bombing of The House Ferrell will pursue the possibility of Step Brothers 2 and if he does, they're going to need a lot of fancy sauce. Related: Watch Step Brothers Premiere Coverage Live! In order to do the sequel right, they would have to get the entire original cast to reunite, that's a must. Another wise choice would be not to rehash all of the bits from the first movie, just ask Zoolander 2 and to a certain extent Anchorman 2. Dale and Brennan would need to blaze a new trail for themselves in their new adult-like place in life. While Will Ferrell didn't seem super excited about doing a sequel, it has to be hard to be constantly asked about your old work while promoting something brand new, but at the same time, Step Brothers 2 has been discussed. Check out Ferrell talking about his phobia of technology, social media, and of course the possibility of Step Brothers 2 below. EXCLUSIVE VIDEO: Step Brothers Cast Featurette! Behind-the-Scenes Footage from Step Brothers!